Our four days at Gamescom have been a total madness. But, oh, what a sweet madness! World to the West was part of the Nintendo booth at the event, as you know, along with other great Nindies (don’t you love the name?) for Wii U: Severed, Jotun, Super Meat Boy, SteamWorld Heist and Axiom Verge. We were confident that our game would be greeted warmly, given the reception and success that Teslagrad achieved when it was released on Wii U. And yes, that proved to be quite right. Loads of people came to the booth constantly and many of them got instantly charmed by World to the West. Love at first sight! Its strong reminiscence of the Zelda series was key for this, we believe. We felt very happy to see that young people and female were greatly attracted by World to the West. An audience sector worth exploring. And we couldn’t be more grateful for the kindness Nintendo showed towards us, and the amazing opportunity to be there with them. Here’s our trailer in their big screen. So so proud! So the overall experience has been exhausting, we can’t deny that, but very satisfactory indeed. We enjoyed it not only as devs, but also as visitors. Huge crowds, lots of gamers running from one booth to another with enthusiasm and providing useful feedback, amazing cosplayers, great titles being showcased for the very first time… This year, Gamescom has sold 400.000 tickets. Think of this as the entire population of Bergen, our home city. Totally nuts! A whole different experience than GDC, no doubt. Of course, we want to send a big THANK YOU to all the media and press people that came to play our game and have talked about us (or will do in the upcoming days). Any word of encouragement out there, however small, is greatly appreciated. We’re finally back home, and Peter and Baste’s feet are begging for some rest, but another appointment awaits us just a week from now: PAX West, from September 2 to 5. We will be there as part of the Nintendo lineup once more, but our programmer Thomas will be our ambassador this time. We’re currently keeping him in suspended animation to be sure he’ll be full of energy for the ride! 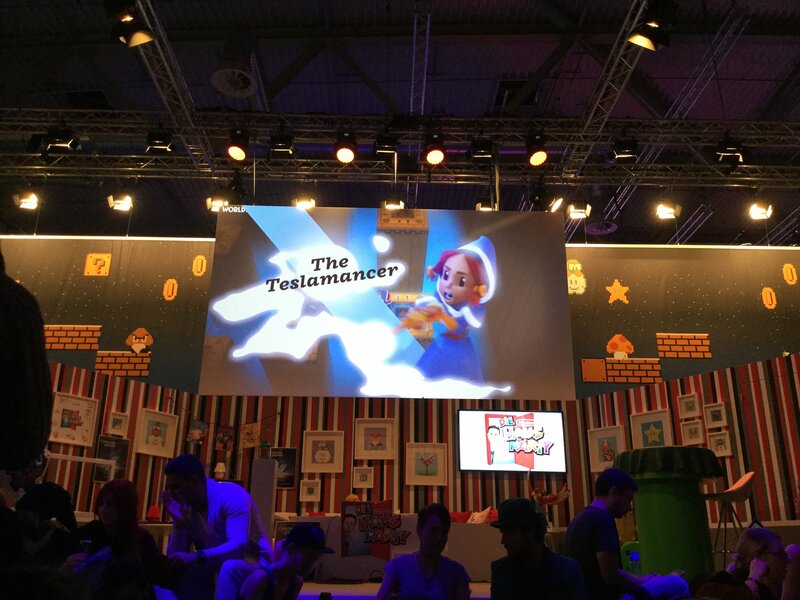 This entry was posted in Gamescom, Wii U, World to the West and tagged Gamescom 2016, Wii U, World to the West by Mariela González. Bookmark the permalink.